I would like it to reach as many people as possible, to help others on a bad day, just the feeling of knowing we aren’t alone can bring a massive change in outlook. ☺ I’ve had a lot of friendly support from various glaucoma groups; that alone helped me in knowing I’m not alone. 😉 Every person’s experience is different, mine started with uveitis in my right eye. (Uveitis is inflammation of the uvea — the middle layer of the eye that consists of the iris, cilary body and choroid. There are many potential causes for this condition, many of which are hard to identify.) However, I hope that by sharing my story, it will help to give faith, insight and courage to many. I was 32 and that was the first time. I had never heard of uveitis. It was painful and I was put on a course of drops which cleared it up. It was in my weaker very short sighted eye. Quite a few more episodes happened over the next few years; I had more drops, pills which worked quickly, always had regular eye tests and pressure tests, but uveitis seemed to be my weak point. I felt it was always related to my immune system, but then not always as I had attacks when I was feeling completely healthy. Each time it appeared the steroid drops cleared it away. I was so used to being able to clear it up, or have drops to bring down elevated eye pressure, that it was all a shock when I was in my 40’s and suddenly faced with this being more serious. Over time, I had taken a lot of steroids and medicines and this was in my eye that always had such limited vision, (it had always been my ‘bad’ eye since I was 11.) Meanwhile, I didn’t realize that these problems were causing the cells to die in my optic nerve (glaucoma) and they were continuing to slowly die even when taking medicines.😠 Information was limited – hence another reason to create more awareness about this disease. I had been experiencing pain; I had an attack of uveitis. I had the ‘usual’ blurry, cloudy, watery vision. I had been using the regular “pred forte” steroid eye drop for the inflammation. I was also taking “carbonic anhydrase” which suppress fluid production and miotics to help with the drainage. However, one side effect is that they constrict the pupil, which makes it difficult to see. I did realize that things were not improving, but I also thought that there would be some different eye drops or pills to help. I still knew very little about glaucoma – I was only actually familiar with uveitis. My vision had become extremely poor in my right eye. I was experiencing pain and blurred vision and using my ‘good’ left eye much more to see everything. Because of the uveitis, the miotics constricting the pupil and the fact that the cells in my optic nerve were dying so fast, I didn’t realize I was actually fast going blind in my right eye. My ‘good’ left eye had always been fine, although it was now doing far more work now. But one year after my trabeculectomy operation, I developed severe blurriness in my good eye. I had been suffering with a bad cold that wouldn’t shift. With this eye being the only sight I had, I became very disorientated and scared. Now this eye was suddenly troubled with uveitis and high pressure. Sometimes a long standing problem can suddenly affect another part of the body; but I knew something was very wrong. I had an emergency appointment to see my surgeon the day I phoned the hospital. As always, Mr.Anand was very calm, but the situation was very urgent as my intraocular pressure was off the scale at 80! When he said this I tried to hold my nerve as good as I could. 😩 He asked me if I had eaten, gave me 2 big pills and I had to wait 20 minutes. In that time I walked to the pharmacy at the hospital to get the long list of medicines. More than I had ever taken! 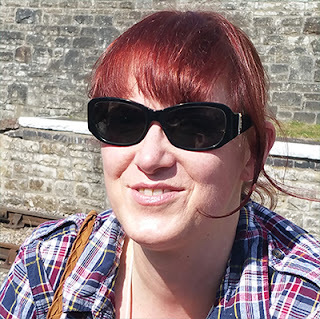 As 10 minutes had passed I began to feel a little better, the tablets were working and I could feel my eye becoming less blurred, I felt less sickness and pain. My surgeon Nitin Anand was an angel that day (again 😇). He booked me in to have a deep sclerectomy which is a relatively new procedure and less intrusive than a trabeculectomy. I had to wait a few weeks but I was checked regularly and on a strict eye drop routine. I had a big bag of various drops that I had to put in every hour, the side effects were awful in some. 😢😩😠 But my eye pressure went back down to 21. It was a very scary time, but again with massive support from my husband, my surgeon, my beloved cat and my faith, I got through it. I am truly blessed as my husband is now ‘My head of security’ wherever I go.❤ We have been fortunate enough to spend a lot of time now by the coast. The fresh sea air is so much better for my eyes. Less irritations compared to the pollution inland. 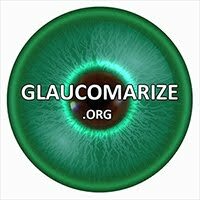 I am sure many who read this can relate to my situation in some way 😎😨😢 and although I realize everyone’s experience is different and individual, I really hope my story and this blog and website helps other glaucoma sufferers. Please feel free to contribute or contact us at any time.